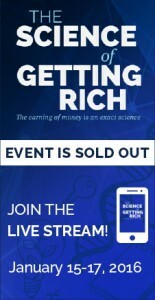 UPDATE: The Science of Getting Rich seminar is now closed, but the links on this page now point to the Paradigm Shift Seminar, which is also conducted by the great man himself and will be held on July 29th, 30th and 31st in Los Angeles, California. This seminar will be just as powerful, if not more so, than the last one. At the Paradigm Shift Seminar, Bob will share how you can transform your finances, health and lifestyle when you change your mental programming – your paradigm. At the age of 81, I believe Bob is eager to impart all that he’s learned in the last 55 years and leave a lasting legacy in this world. Just click on any of the links (in blue) or pictures on this page to learn more about the Paradigm Shift Seminar. Hey everyone, Clark here from Self Help Books. Just a quick one today. 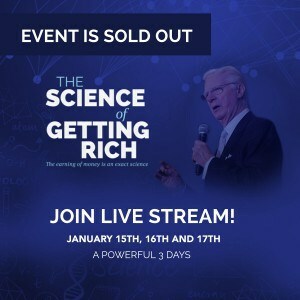 Next weekend – January 15th, 16th and 17th, 2016 – Bob Proctor (know the guy?) together with Sandy Gallagher will be holding The Science of Getting Rich seminar in LAX Hilton, Los Angeles, California. 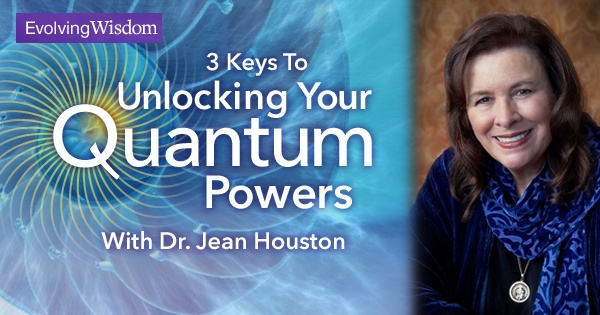 The seminar is completely sold out but they are offering a live stream option. You can join Bob and Sandy LIVE with a computer, tablet or smartphone – from wherever you are in the world. Bob Proctor is widely considered to be one of the greatest speakers in the world on the topic of getting rich. One of the world’s master thinkers and achievers, his delivery is equally outstanding. Seeing Bob speak at a live seminar is simply exhilarating. You can know more about Bob and Sandy in my review of their Streaming Club program. A personal development LEGEND, Bob has been studying success and personal development for 55 years. Let him teach you the science of getting rich. Click here to see all the details and reserve your ticket. The Science of Getting Rich seminar is based on Wallace D. Wattles’ book that inspired the hit movie (and book), The Secret. Some say it teaches the foundation and real meaning of personal growth as well as personal wealth. The information that Bob and Sandy will be sharing can truly change your life for the better. There is a SCIENCE to getting rich. Learn how money is earned and enjoyed here. And that is all from me today. Spread word about the event (in fact, get a group together and do a viewing party), and if you have any questions or comments in regards to this seminar just let me know in the comment box below and I will get back to you ASAP. Great Post, I have never heard of Bob Proctor, but reading your post makes me want to watch the seminar. It sounds very interesting and inspiring. You can reserve your spot right here, and keep me up-to-date of your progress! I have read a couple of his books. He is great. Also 11 Forgotten Laws by Bob Proctor on YouTube is a great thing to watch, and would give you an idea of what he is about! I also attended a seminar with one of his students Gerry Roberts I believe. Thanks for sharing about the seminar. Thanks, Joana. Yup, 11 Forgotten Laws is definitely worth a watch. Thanks for bringing that up! I HAVE heard of Bob Proctor! I’ve seen him on DVD, but never in person! Nice to know that even though I missed one of the seminars, there is another one coming up, possibly even better? I’ll have to check my CURRENT prosperity to see if I can afford the trip to Los Angeles. Do you think there will be a streaming opportunity for Paradigm Shift Seminar? I’ll check on your link as well. Thanks for the information. I know Bob Proctor is a great speaker. It WOULD be a thrill to see him in person! Hey there Roger, sure, there is a ‘live stream’ option, just like for many of Bob’s seminars. Just scroll down to (almost) the bottom of the link. However, note that it is now called the ‘Goal Achiever Summit’ :). Hey, this sounds like an interesting event. Considering the fact I’m having some financial difficulties, this might be just what I need. Thanks for sharing! Hi Nusrat, you’re most welcome. I’m sure this will be an amazing event. Bob Proctor has a huge following. He definitely knows what he is talking about, I just have never seen his approach to teaching.’Would be interesting to see. Hi Gloria, I’m glad you asked that. To see Bob Proctor in action, go here. Watch the videos and decide for yourself whether he can make you rich! Thanks for the information. Have you ever attended an event of theirs before? I like the concept of what they are talking about but did not realize there were so many facets to getting rich. I guess that is why I am not 🙂 . Do you know of any other resources of Bob Proctor’s that could be free such as podcasts? Hey Geoff, thanks for bringing this up. To see Bob Proctor in action, I always recommend people to see this. Just watch the videos and you’ll be able to decide for yourself if Bob knows enough to be able to guide you to RICHES!